With a hot summer forecast for the North West of England, it’s time to protect your eyes with our range of Jaguar sunglasses. They offer full UV400 protection, and are available in varying tints, including polarised to take the glare off the road, and cars in front. Polarised lenses also help minimise the reflections off water, so if you’re summer involves sailing, water sports or fishing, then Jaguar polarised sunglasses could be just what you’re looking for. To help celebrate the launch of Jaguar F Type Coupe, Jaguar also launched their range of Jaguar F Type sunglasses. 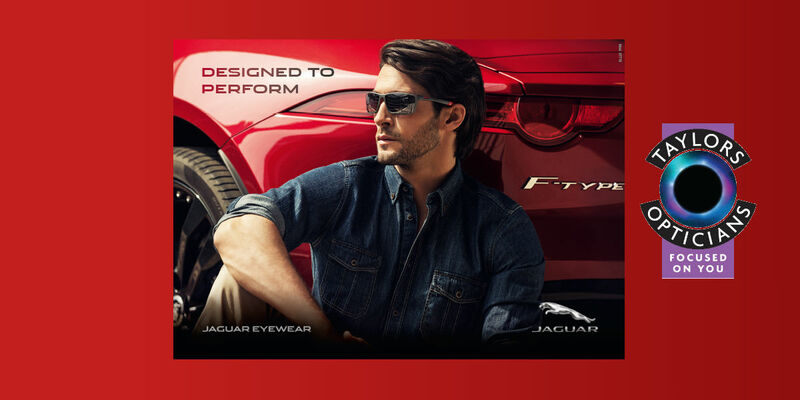 The F Type sunglasses at Taylor’s Opticians Frodsham offer that distinctive clear cut design, and perfectly matched proportions to provide that Jaguar feeling even beyond the steering wheel. Want to know more? Then why not call in to Taylor’s Opticians, where we can show you our full range of Jaguar spectacles and sunglasses. We also offer Tag Heuer, Guess, CK, Jono Hennessy and much more.